Every summer I revisit my emergency preparedness efforts to see what I can improve. Right now I am working on my emergency water storage. I have some water stored, but I have always worried about it’s lack of mobility. Hopefully, if I ever need it I can use what I have staying here at home, but what if we have to bug out in a hurry? Well, I came up with a really simple plan to make some of my emergency water storage mobile! After all, you’re mobile. Your drinking water should be, too! Whether your water storage is in a water tank or refilled two liter bottles, those methods aren’t going to help you if you have to leave your home in a hurry. You need to be able to just grab and go! You need a few days worth of drinking water at the ready so that you can bug out quickly. Check out the simple solution I found to that problem! 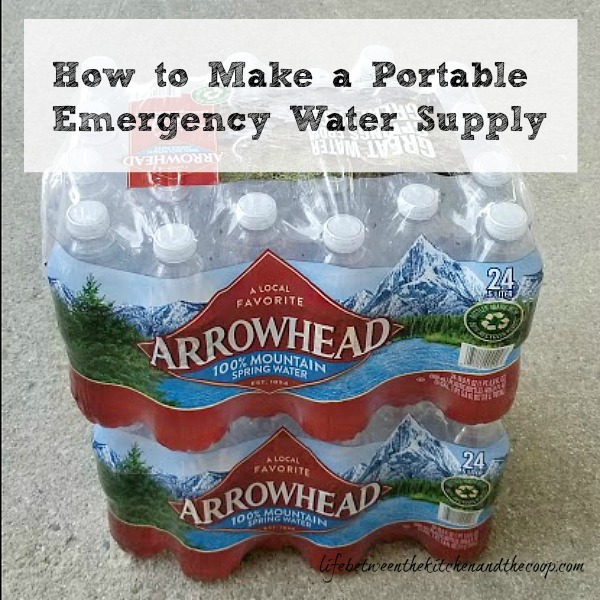 There are just two easy steps to portable water! First, buy a bunch of bottled water. 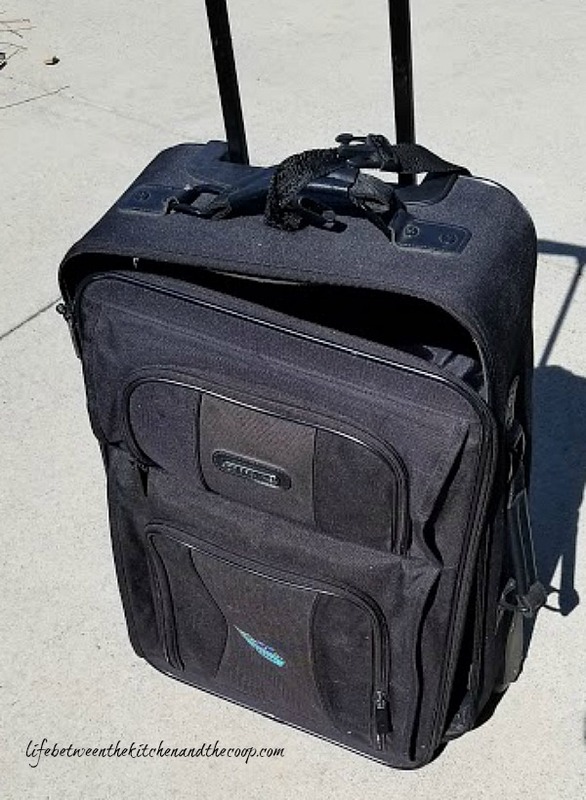 Second, load the bottles of water into a rolling overnight bag or suitcase (this is an old one I had laying around, but you could get one at a thrift store or department store). Now you have portable, drinkable water! 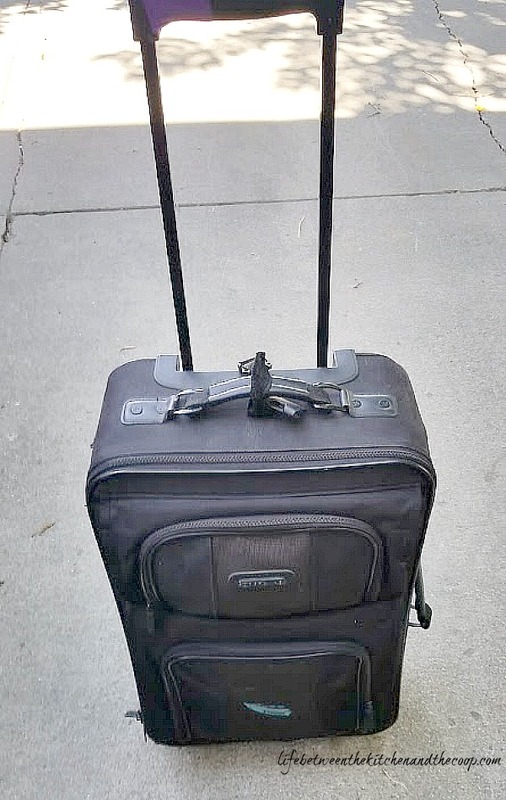 You can throw it in your car…OR worst case scenario, if you have to walk, you can drag it along because it is on wheels. How great is that? 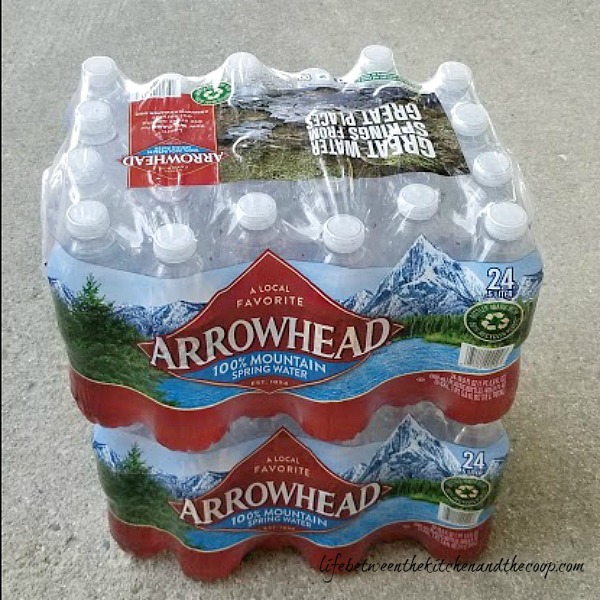 So…be sure to stock up on drinking water if you haven’t already! You should keep in mind that if you have to bug out of your home, sooner or later you will run out of water. You can only haul so much. The good news is that you can filter water to drink from streams and lakes with a Life Straw. I recommend having one for each person in your household. You can keep them in the suitcase with your bottled water or in your bug out bag. How prepared is your family? What do you do to prepare for emergency? 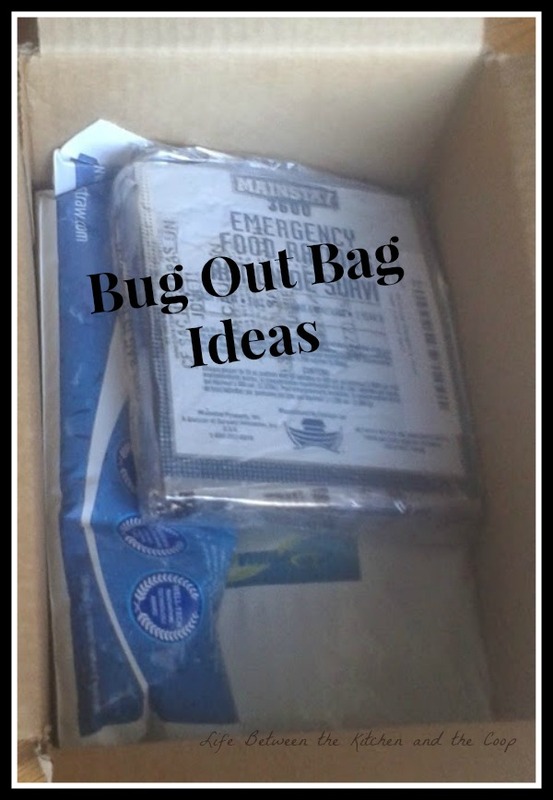 Here are links to some more great emergency tips you should definitely check out! Hopefully if you aren’t already an emergency preparedness guru, these posts will give you ideas to start planning for emergencies!